Subhashish Dey’s debut novel makes for an intriguing read as a hired killer develops a conscience leading to a strange string of events. 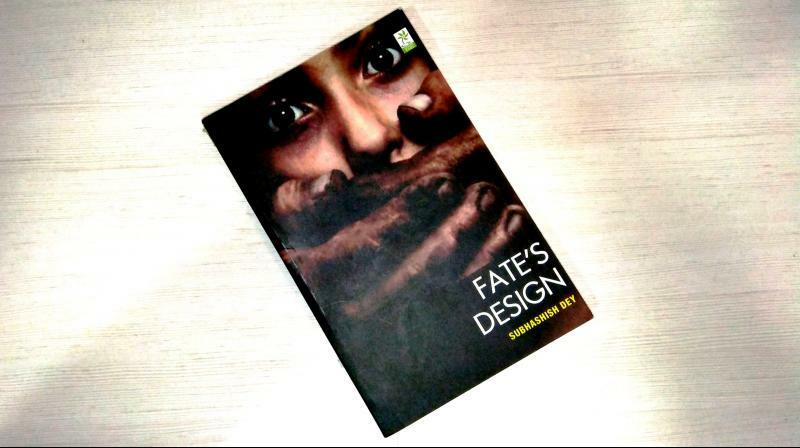 Cover of the book Fate's Design, published by Good Times Books Pvt Ltd.
What does a professional kidnapper do when he suddenly develops a conscience? Anastasaii, a hired thug from Russia is sent to kidnap the daughter of a rich man for ransom. However, guilt plagues his conscience as he knows the predicament of kidnapping a two-year-old could never be good. What follows is a series of events across continents and years that lead to a rather surprising conclusion. One has to hand it to a young author, who at 14 has published his first novel. And while it forms an interesting read, the critic cannot help, but feel the luxury of youth creeping in throughout the story. Characters come and go, and while death helps move the plot forward at a certain point, it seems both hasty and orchestrated, rather than a natural progression. The complexities in characterisation are perhaps missing and while one does not dislike the plot or the momentum of the novel, it seems that there could have been a bit more when it came to how the characters are envisioned. What is interesting to note, is that the young author, spares no stones in giving equal attention to all the characters of the novel. Be it Anastasaii, the young girl Natalia, Mrs Sapsky, his mum; Felix, Andrei or Irina, everyone is given their equal space in taking the novel forward. Flitting from one character to another and one tale to the next, Subhashish makes wonderful use of time in his novel, as seemingly unrelated incidents slowly create a motif towards the conclusion. The language is simple and poetic, a far cry from a lot of what passes off as literature these days and makes for a simple and yet intriguing read for the most part. The cause of contention, however, is the way the entire denouement (yes the novel fittingly has one) plays out. The author’s age is perfectly reflected in the way he handles a seemingly happy ending for a family separated by one act of conscience, which might leave a few readers wishing for more. A thoroughly interesting read, Fate’s Design, plays out as a struggle to live, survive and not merely exist. There are flaws, which in any case, are there in every piece of writing, but, the author’s abilities to weave a story, which does not make you, cringe or question its validity, make it an interesting work worth going over more than once.